Should I have a podcast intro and what should it sound like? 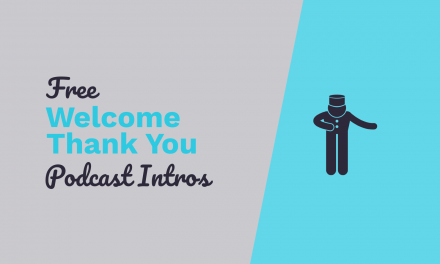 There are many different options when creating an intro for your podcast. 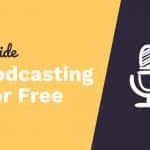 Some podcast hosts prefer to get right into the main content of their episodes without any bells and whistles to announce who they are and what they do. You could say that they have the maximum respect for their podcast listener’s time and understand that every moment they have with their audience is precious. I am a a believer in having a podcast intro (it must sound professional as an amateur production can have the reverse effect) in order to establish your podcast, tell your listener what to expect on the show, the music you use will become associated with your podcast, brand it and help to make it that much more memorable. Here are 6 things to consider before making a podcast intro for your own show. Who will be listening to your podcast? Consider the audience. Will the subject matter be light hearted or entertainment based and appeal to a young audience? If this is the case you may want to consider some up-beat poppy, jazzy or even cheesy music to start each episode. Also, think about your style, are you a fast paced talker or slow and deliberate? There’s no point in using a fast dance track if you speak slowly. It won’t sound right. If you’re doing a serious podcast or looking to appeal to professionals then perhaps some classical music would be a more apt choice. If it’s a movie podcast why not get an epic cinematic piece of music for your podcast? Think what feelings you would like to introduce with your intro music? 30 seconds maximum as a rule for your introduction and be sure not to repeat yourself each time. Mix it up and change what you say and how you say it otherwise regular listeners will get bored! Why not have a ‘music bed’ introduction with space for you to talk about the podcast and tease content before a jingle or voice over kicks in? 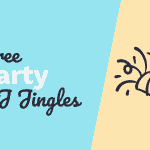 Keeping your podcast intro jingle a certain length will train you not to ramble on and on during your opening speech so that you can get right to the point. I listen to podcasts with intros that are 2 or 3 minutes long and also include adverts and commercial plugs. This is a turn off or fast forward moment for me! The start of your podcast is like a mini commercial. In radio it’s a rule that you always try and get your best demo tape material at the start of your audition as managers usually judge you and hire based on what they hear within the first 30 seconds. It’s the same with a podcast – the first 30 seconds of your podcast is a ‘demo’ to your potential listener – make it engaging and give potential new audience members reasons to stay hooked. You’re the host of the podcast. It’ll sound strange if you introduce yourself! I always remember one of my pet peeves about working in commercial radio is that budgets to get an external voice over were often tight or non existent so they’d grab one of the on air talent to voice a commercial or promo. In my mind having your in-house air talent voicing ads or jingles sounds lazy and cheap. Hire an external voice to create your podcast ‘sound’. We negotiate fixed fees on all voice work at Music Radio Creative so that you don’t have to worry about finding a voice over talent and negotiating a fee. As I mentioned before, your podcast intro is like a mini promo for your podcast, what do you want the listener to do or remember? I always start the podcast by announcing, “this is Mike Russell from Music Radio Creatie dot com”. I deliberately tag on the dot com where I can so that any listener will remember the website address as well as the brand name. 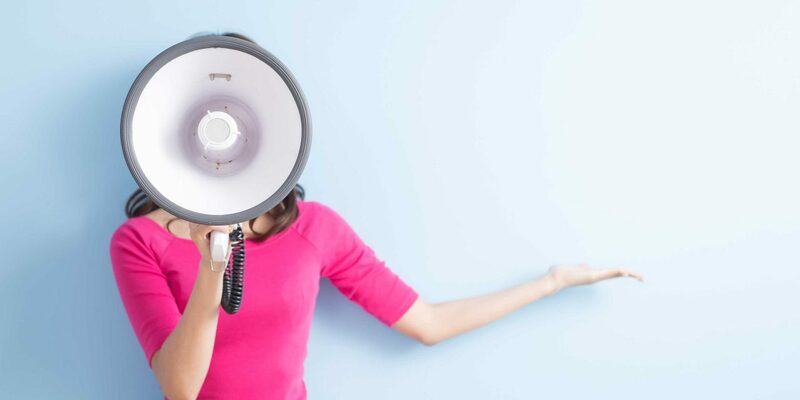 You could also use the intro to ask your listener to email you with feedback or a similar call to action. 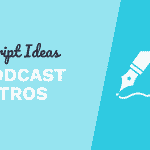 It’s tempting to pre-record content that you want to include in each podcast episode but don’t be tempted to copy and paste the same speil into multiple episodes. Listener’s ears will soon grow tired of the same old same old and they’ll probably end up repeating your intro verbatim (that is if they still listen to your intro!). 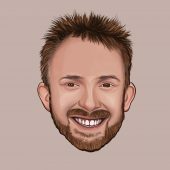 Schedule important points and mentions that you want to get into each episode and talk about them in different ways and different parts of your podcast each time. 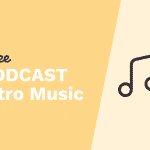 Consider using theme music and sung jingles to make your podcast memorable and different to the rest. 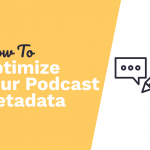 Include your podcast name and episode number at the start of each episode – many podcasters do this – it’s a great quick reference for any listener. Not sure what style of podcast intro to have? Ask your audience! You can run a free survey on SurveyMonkey. A great question to ask is “what radio station(s) do you like to listen to?” This will give you a great idea of the type of music and branding your potential listeners would like to hear. Are you for or against podcasts with produced intros? Leave a comment and let me know! Looking for an Unforgettable Podcast Intro? 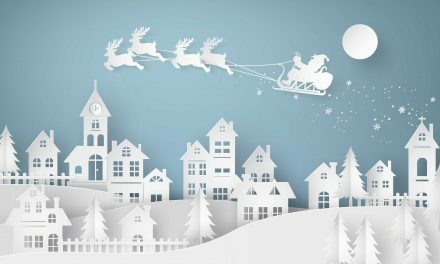 Is It OK To Play Christmas Jingles Yet? Most of these are good tips, but some are probably given with a particular kind of podcast in mind. “Don’t use your own voice in the intro” seems especially bad as a universal maxim. 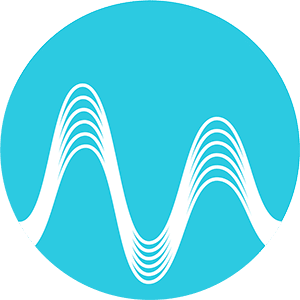 There’s absolutely nothing “cheap” about Radiolab, The Writer’s Almanac, 99% Invisible, or dozens of other awesome podcasts where the host takes ownership of the show and uses their own voice to introduce things. On the other hand, I always hated the NPR show “From the Top” for this reason, they got a smarmy voice that seems to have no other purpose or presence on the show than to act as Chris O’Reilly’s ego prop. I would also find it a bit corny to wedge a website name into the intro of many podcasts I enjoy, or into my own at Howell Creek Radio. Thank you for the comment Joel some really well thought out points here. 99% Invisible is one of my top podcasts and I think that the production style on it rocks! I do think that, in most cases, if a podcaster uses their own voice for the intro and jingles it can sound a little ‘Alan Partridge’. Good point on the website name in your intro. It’s certainly not for every style of podcast. I find myself naturally saying, “hi, this is Mike from Music Radio Creative dot com” but you could always save your web address/contact details/call to action until the end of the podcast. Thanks for the shout out! It’s another episode with great information . . . but that’s what I’m coming to expect from Music Radio Creative! I think you made a really good point about having access to the x3 button. I guess it keeps us all in check. I think you have some good ideas here. I also believe that podcasting is an individualized activity. Meaning that podcasting does not have to sound like radio to be worthwhile. Obviously the better the production value of the show; the more likely people are going to want to listen to it again and again. That goes just as much to the content of the show as the production values. I chose to use the same intro after a very brief summary of the topics in my own voice. It was as much a budgetary decision as a creative one. I am the voice of my podcast. In most instances it is written in my own voice, although there is some simple narration for some segments. But as the voice of the podcast, I do not feel discontented with using a prerecorded intro and outro as branding tools.